Perfectly situated on 100 lushly landscaped acres in the Palm Beach County "Agricultural Reserve" in western Boynton Beach. Our majestic entryway welcomes you home with rushing waterfalls, flourishing flowers, lush tropical greenery and mature trees. Featuring almost 20 acres of lakes and natural wetland preserve, Cobblestone Creek is uniquely beautiful. wrapped by lush tropical landscape, our stunning lake featuring nature preserve areas & a beautiful fountain. 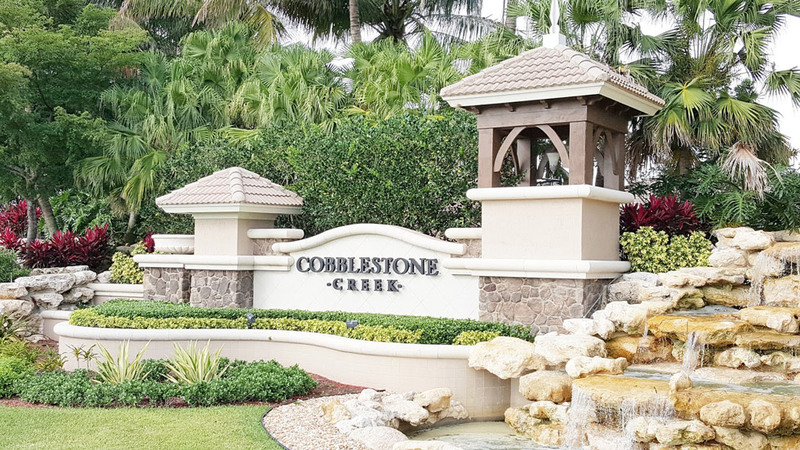 Cobblestone Creek is a wonderful place to call home. is minutes to shopping, dining, wonderful schools and easy access to the turnpike, 441 and Bethesda West Hospital.